Hey guys! 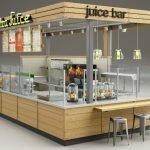 did you plan to start your food business in the mall? 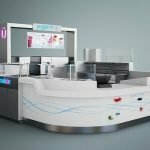 Are you still looking for bakery kiosk design? I’m sure you will find what you want from here. Here the one what I wanna share is very nice look bakery kiosk design with cupcake display counter for sale. if you’re interested. it’s very necessary to see more details below. 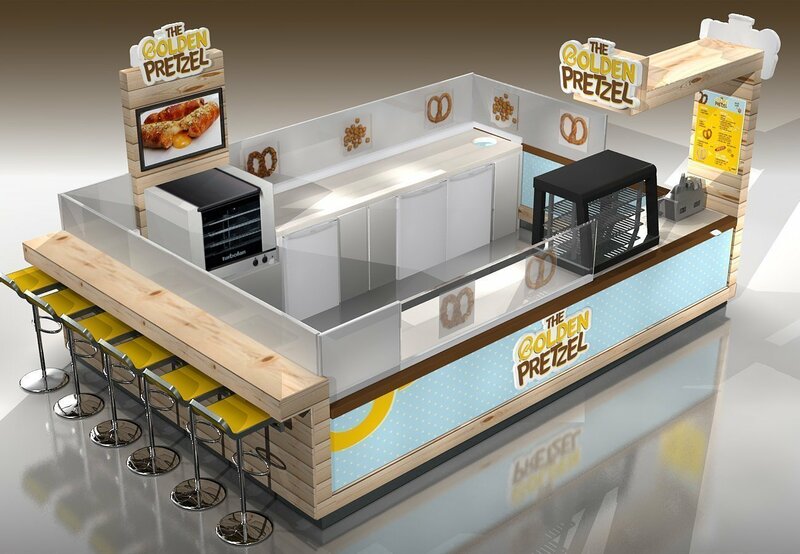 Let’s see more details about this bakery kiosk. As you see the whole kiosk is very Modern and exquisite. mainly tone is white, blue and wood grain color. 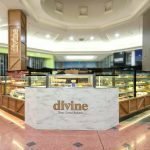 it can be located in a mall for selling different types of bakery, cake, and beverages. We can see the front part of the kiosk is a sales area, there have a bakery display fridge and cashier counter, There’s one “L” shape stand column on the right corner, the surface is solid wood strip decoration. mainly for put logo, menu, and product images. backsides also have one to match it, install TV and logo on it. Next to it was a row of the wooden counter. here are a microwave oven and three under-counter refrigerators. At the left sides is a width counter, here is a baffle in the middle that divides the whole counter into two parts. at the inside part mainly for clean and wash hand. we install three sinks here, outsides is a seating area, is a long bar with six bar chair. It can provide customers with a very comfortable dining environment. Basic information about this bakery kiosk. Material: plywood, solid wood, fireproof plate. Color: white, brown, blue, wood grain. Service, bakery, cupcake. beverages etc. Accessories: Poster, acrylic logo, TV. Usage: shopping mall or own store. 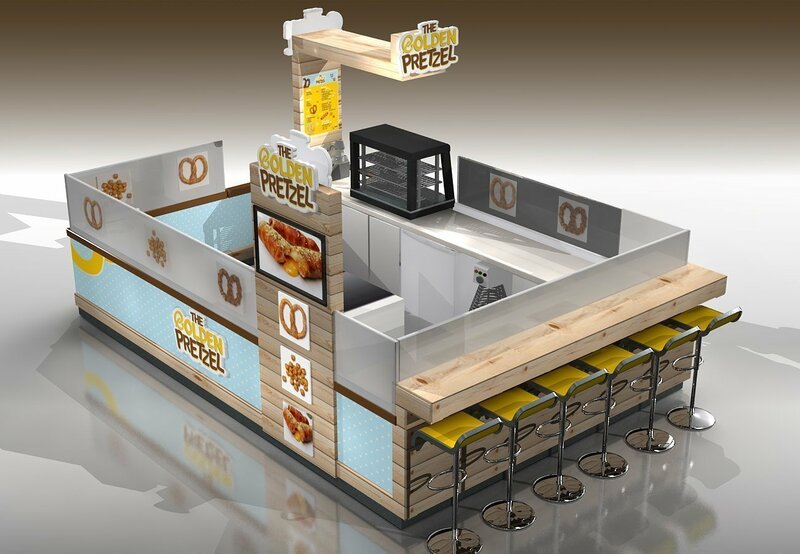 Thanks for your time and reading, Unique kiosk as a direct manufacturer we mainly work on the design and customized for different types of retail food kiosk and bakery kiosk.if you’re planning to build a bakery kiosk like this one, or further info, welcome inquiry!